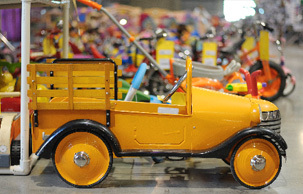 VALET CONSIGNING - FOR BUSY MOMS! VALET CONSIGNING OPEN! Sign up HERE! Download your Valet Consignor Waiver HERE! 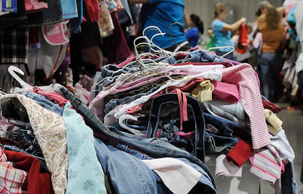 We know that some parents want to consign but just don't have the time to tag their own items for a JBF sale. JBF offers "Valet Tagging" where one of our experienced consignors will price & tag your items for you, and can also bring your items to the sale. If you use our Valet Tagging service, you earn 40% on your sale items (up to 50% if you help before or during the event) and your tagger gets the other 20%. The valet consignor fee is $18 - $5 supply fee is taken out for the tagger. You can still earn the extra 10% using the same guidelines as all consignors. If you sign up as a helper, you can also SHOP both Wednesday’s Helper Presale and Saturday’s Half-off Helper Presale. Are items in great-to-excellent condition? Clothes freshly laundered, free of ALL stains, pillings, smoke/odors & tears? Shoes are scuff-free and clean LIKE NEW? Gender & size sorted? Outfits grouped together? All items FULLY functioning with ALL pieces and batteries included? **To minimize unacceptable items, there will be a $.25 surcharge for each item dropped off with stains, dirty, defects, etc. Please be courteous of our Mom Taggers’ time and efforts as they work hard to put cash in YOUR pocket! **A Magic Eraser is your friend! It’s a great tool to clean shoe soles and plastic toys. ONE DROP OFF: You MUST drop everything off (limit of 400 items) by the Valet drop off deadline (for Spring’18 it is May 1st) and cannot add in more items later. Pile 3: JBF quality…these JBF piles will earn you the most money for your efforts! ORGANIZE BY SIZE/GENDER: Your JBF clothing piles must be grouped by SIZE and GENDER. If you prefer to have items sold together as an outfit YOU must group them as such. Be sure batteries are included so toys and electronics power up. HANGERS & BATTERIES: Bring your items laundered and hung on small hangers for your kids clothing, and larger hangers for blankets, baby carriers, etc. LARGE ITEMS: Do not bring your large items. Instead, text pictures and discuss prices with your tagger when you drop off your other items. Your tagger will have the printed tags ready for you when you pick up your tagged items. You will attach them and bring them to the event. If you make arrangements for your tagger to transport your items, you will still take your large items to the event, unless you make arrangements with her. PRICING: Our taggers are experienced and know the value of your items, and price to SELL! You may request pricing for a special item. When your Valet has entered your tags you will receive an email, and have 3 days to approve before all your tags are printed; after that no changes can be made. PAYDAY: Checks are mailed out in less than a week after the sale, if you don't pickup. An $18 Consignor applies, which includes a $5 supply fee. What will NOT be returned to you: Rejected items. Stained, damaged, dirty, items will be discarded or donated. Items missing pieces will be returned. Remember, 25cents will be deducted for each item defective (excessive use, broken, stained, etc.) and will not be returned to you, so please inspect your items carefully! All items must be brought in boxes that can be closed. You must label each box with your name and consignor number. Boxes/bins will NOT be returned so don’t bring totes. You can get nice-sized boxes at any Starbucks if you go in and ask. They can save them for on their delivery day IF you pick them up that morning. If you bring toys that will not fit into a box, be sure to label them with your name and consignor # - use blue painters’ tape, or something that will not adhere permanently to the item. ***The consignor # you have entered will be the # used for your valet tagging only. The tagger only gets compensated for items sold, so when you bring the valet items to future sales, we can compensate her then. If at some time in the future, you decide to consign with items YOU tag, just create a profile with a different email address, and you will be assigned a 2nd Consignor #. HAVE A SIDE-HUSTLE? SNAG A VENDOR BOOTH! JBF On Demand is a year-round money-making solution for you! It's a way to get cash for your unused items even if you don't have time to become a consignor. We will buy them from you all at once, and get them into the sale so they can bless another family! Our buyer will meet with you to purchase items that meet the JBF quality standards. You earn quick cash...on the spot! Doesn't get much easier than that! SELL your items ANYTIME! Do you have piles or boxes or crates of outgrown items that you just can't get tagged? You can sell JBF anything current in style that is free of rips, holes, stains and tears—keep in mind we are looking for the best of the best in gently-used items! SAVE your precious time! No tagging, no garage sale organizing—no time-consuming work of taking pictures, cross-posting on internet sell groups! It's a fast & easy process. STOP taking the risk of using sell sites where you have limited exposure to a small (?) buying group. We’ve got a built-in network! SHOP for items you need at your local JBF HUGE Kids' Sale! We have THOUSANDS of items to choose from! SMART! Now you can shop, sell and save whenever you want! JBF On Demand. Now that really IS smart!